Judy Munro has been involved with art as far back as she can remember. When Judy was in the first years of grade school she drew a picture of a horse in one of her classes. Her teacher showed it to the school principal, who in turn, called her parents to advise them to encourage her artistic ability and Judy's parents instantly became her biggest supporters, looking for every opportunity to get her involved in art, on any level. After grade school, Judy attended the local high school for one year and then her parents encouraged her (insisted really) to switch schools and enroll in the art curriculum at Cass Technical high school. At that time, Cass Tech’s art department was well known and very well respected, with good reason. It was a fabulous place to be. Not only did art students have a demanding series of classes in school, they also had on-site drawing classes and figure classes after school in a nearby studio. Judy was like a sponge, soaking up all the basics, learning how to “see” and how to draw what was seen. Judy credits Cass Tech with instilling in her the fundamentals of color, perspective, figure drawing and art appreciation. In her senior year at Cass, Judy won a scholarship to attend Pratt Institute in New York, where she completed her first two years of art studies. A critical family illness called her home after her second year and she ended up working at a succession of several art related jobs in the Detroit area. For a short period of time, Judy kept her hand in art and sold a number of drawings and mixed-media pieces at local art festivals. But, for the most part, she was drifting without a strong direction. Then, in 1974, Judy chose to enter the corporate design world, where she spent the next 33 years in a successful career that culminated in a position as Creative Director for a local corporation. During this time Judy also completed her BFA degree at Wayne State University in Detroit and attended law school for two years. In January 2009, the company Judy was employed with went through a downsizing. The creative functions and management were moved to their New York office and her department was eliminated. and recommitted herself to her art. Since then, Judy's work has shown in numerous statewide juried shows and solo exhibitions. She is currently represented by eleven galleries in Michigan, Ohio, Illinois, Minnesota, Wisconsin and New Jersey. 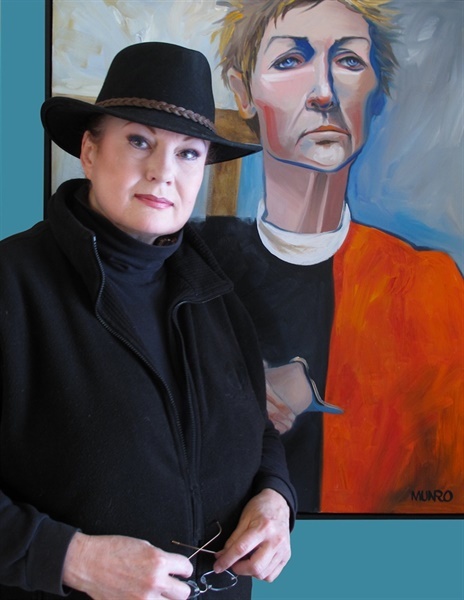 A prolific artist, her paintings are in private and public collections across the US and in Canada.